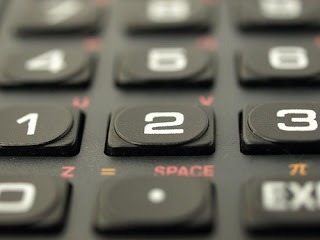 UPDATE (Jan 2012): Now that PPF Interest rate has been revised since 1st Dec’ 2011 (increased from 8.00% to 8.60%), the PPF Interest Calculator also need to factor-in the revised rates. But, what if the PPF interest rate is revised again? Instead of devising the new PPF Calculator, I’ve incorporated the PPF Interest Rate as another variable in this excel based PPF Interest Calculator; now you will be in a position to change it yourself based upon the applicable rate of interest on PPF Accounts. Besides, you will also be able to figure out the exact amount of additional benefit on account of 0.6 per cent increase in the PPF interest rate by calculating for both 8 per cent as well as 8.6 per cent interest rate. Simultaneously, the maximum PPF deposit limit has also been raised from Rs 70,000 to Rs one lakh during a financial year. The revised version of the PPF Calculator also takes into account this new feature. I’ve designed a PPF Interest Calculator in excel sheet (which shows PPF returns and maturity value after different time periods) to help you plan your PPF investments. Similar to the ‘Income Tax Calculator’ designed earlier, which is, as of now, the only online tax Calculator to provide you with the accurate tax liability figure (by including all the possible permutations and combination of different kinds of taxable income, special tax rates applicable on certain income and the various conditions and restrictions imposed on section 80 deductions), this PPF Returns Calculator is also only one of its kind. You would find many online PPF Returns Calculators available on the net but none of them is as good as this one. Try comparing it with other PPF Interest Calculators. Actually, the PPF (Public Provident Fund) interest calculation is a bit complicated due to various factors such as interest calculated on monthly basis but compounded on annual basis, no interest paid for a particular month if the amount is deposited after 5th of the month, interest always credited to the PPF account at the end of the financial year (i.e., 31st March), varying minimum duration of the PPF (ranging from 15 years 1 day to 16 years) depending upon the first month of the deposit. Before using the PPF Returns Calculator to know the maturity value and the interest earnings and to plan your future investments in the PPF account, first you need to understand how the PPF account actually works. Please see ‘10 Tips about PPF Investing’. PPF Interest Calculator: Assumptions1. Deposit by 5th of the month: It is assumed that every deposit made by you in your PPF account is on or before 5th of a month. 2. Recurring Deposits: The second assumption is that you’re making a recurring deposit in your PPF account either annually or monthly. Recurring annual deposit means that the same amount is deposited in the PPF account every year (and in the same month). Similarly, recurring monthly deposit means that every month you’re depositing same amount in your PPF account. 3. Applicable for PPF accounts opened on or after April 2003: PPF Calculator is based on interest rate of 8% [Update: also 8.60%] per annum (p.a.). In other words, use the Calculator to calculate interest earned on your PPF account if the account is opened on or after 1st April 2003. If you started investing in PPF even before the month of April 2003, then this PPF Calculator is not applicable. 1. The value of N (number of years) can be 16, 21, 26, 31 or 36 only. It means that investment in PPF account is for a minimum lock-in period of 16 year. If you extend it for another 5 years then either you keep on investing same amount of deposit for the next 5 years (put n=21) or the extension is without any further deposits (then put n=16). However, the Calculator will show you the PPF returns and the maturity value at the end of 21 years in both the cases (i.e., n=16 as well as n=21) in addition to returns and the maturity value at the end of 16 years. The same process is followed for every 5 year extension of PPF account. 1. PPF vs. NSC: How to Decide? So understand that n is the number of years for which you make investments in the PPF account. For example, if you make regular investment for 26 years (monthly/annually) put n=26 and you’ll know the interest earnings and the maturity value at the end of 16, 21, 26, 31 and 36 years. 2. In the 'month of deposit' ("M")column put 1 for January, 2 for the month of February and so on. The maximum value can be 12 which represents the month of December. Also understand that in case of ‘Monthly PPF Calculator’, month of deposit means only the initial or first month of deposit. 3. The value of “A”, the amount of recurring deposit can’t exceed Rs 5,833 Rs 8,333 in case of monthly deposit and Rs 70,000 Rs. 1,00,000 in case of annual deposits. 4. There are two separate PPF Interest Calculators combined into one excel sheet. First one is applicable for monthly recurring deposits in PPF account and second one is applicable for annual recurring deposits. Use the one applicable to you. You can also use both the Calculators to compare monthly deposits with annual deposits. After making so many assumptions, doesn’t the PPF returns calculator lose its relevance? Not at all! As already stated, the basic idea behind the Calculator is to help you get a broader view of PPF returns and to make the PPF investment planning easier for you. Anyway, the actual PPF interest calculations can be seen from your PPF account statement or the passbook. So, here’s a PPF Calculator (Revised Version) that actually works! If you come across any bug in the PPF Interest Calculator or need some clarification regarding the PPF Calculator, just write it down in the comment box. Anyhow, your feedback and suggestions is really important for me to understand what’s working and what’s not. If I put in 15 in the number of years (N) field, it says error. It is because minimum lock-in period of PPF account is 16 years. It runs for full 15 years from the close of the financial year in which first deposit is made and matures on 1st April of 17th year. Jaya: Why don't you try it yourself? Very useful tool indeed!, Thanks Fisher! One request, Please create/enhance the calculator to calculate 'maturity value' if one want to increase PPF deposit by a fixed % i.e. 5% p.a. This way, one will know more accurate value of the increasing deposits. I have put 5833 under monthly and 70000 under annual, with m as 2 and n as 21, all maturity values under Annual are less than the values under Monthly. I didn't understand the logic, Normally if you put lumpsum annually, I think we should be getting more than what we save monthly. Narasimha: If we enter (A=5833, M=2, and N=21) in monthly option of the PPF calculator, final maturity value at the end of 21 years is Rs 33,96,876 and if enter (A=70,000, M=2 and N=21) in annual option FMV is Rs 35,76,666 which is greater than the monthly option. If you really want to compare annual option with monthly option, first you have to enter M=4 in monthly option so that your total investment under both the options is same. First do it and write down the exact figures, then I’ll explain the reason behind it. Kindly let us know your comments. admin @ k e e p w r i t e .com and we will take it further. Hi I entered, A=5833, M=4 and N=36 for monthly and A=70000, M=4 and N=36 for annual, FMV in annual are more than in monthly. Also total investment in both the case is not same. Kindly explain. i am beginner in this field. I’ve just checked it...you’re very right. Earlier another reader came across the same issue in 4-in-1 Loan Calculator. I feel very sorry but can’t help it. Let’s hope that the Zoho team fixes the bug permanently. I plan to invest 700000 every 2nd of April for 21 years, i get the amount 3,368,458. Could you please tell me as per DTC how much amount is deducted from the above amount as tax at maturity. Will it automatically get deducted at maturity or do we need to pay the money to income tax department seperately? You’ll be required to pay tax on the amount withdrawn at the marginal tax rate applicable to your income. There is no TDS on PPF account. To my knowledge a PPF account matures in 15 years and it cannot be extended. If you reopen another account, you cannot deposit / transfer your existing balance in the new account (since there is a limit of 70,000/- per annum. So CAGR after 15 years might not be possible (i.e, for 21, 24, 30 and 36 years) unless invested in a similar instrument with similar risks and return. excellent work! this calculator is very useful and all your articles are also very much helpful for savings and investments. I have started my PPF account from this month. i.e Feb 2011. By starting in February you earned interest for February and March also, which you would not have done, had you waited till April. You made no mistake. The earlier you start the better for you. Keep investing in PPF and reap tax free interest. PPF Accounting is according for financial year. The first month of deposit in both the monthly and annual mode should be April (4) and not March (3) for the monthly mode. Also, the total amount at the end of any period in annual mode should be more than the amount in the monthly mode. Your calculator shows the opposite. Further, the PPF account matures in the 16th financial year from the financial year of opening and not in the 17th year as stated in one of your replies. Kindly clarify.